3Gstore.com Blog: The NEW Pepwave Surf SOHO MK3 is BACK IN STOCK at 3Gstore! The NEW Pepwave Surf SOHO MK3 is BACK IN STOCK at 3Gstore! Once again the new Pepwave Surf SOHO MK3 is back in stock at 3Gstore! The initial release of the SOHO MK3 was in November of 2016 and the entire shipment was sold out in just over 4 hours! The new shipment is in and every order placed before 3 CST will ship out TODAY (1/12/17) and can be delivered as soon as next day. While this new shipment is much larger than the last one, there are still over 400 people on the notification list, so if you want to guarantee a device we suggest ordering right away. There is a 1 unit per customer order limit as supply vs demand is still limited. Read our full review of the new Surf SOHO MK3! 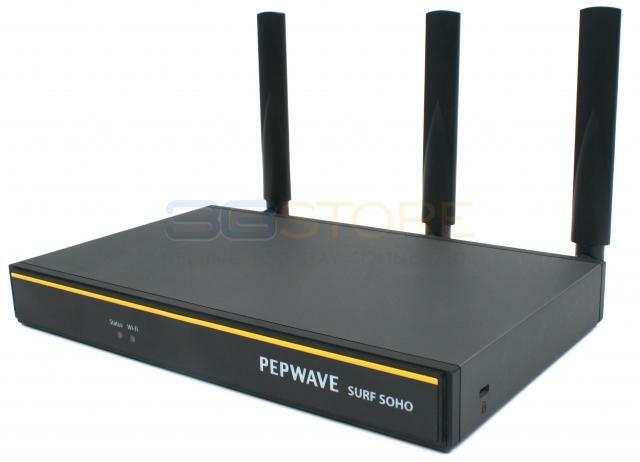 Order the Pepwave Surf SOHO MK3 at 3Gstore!